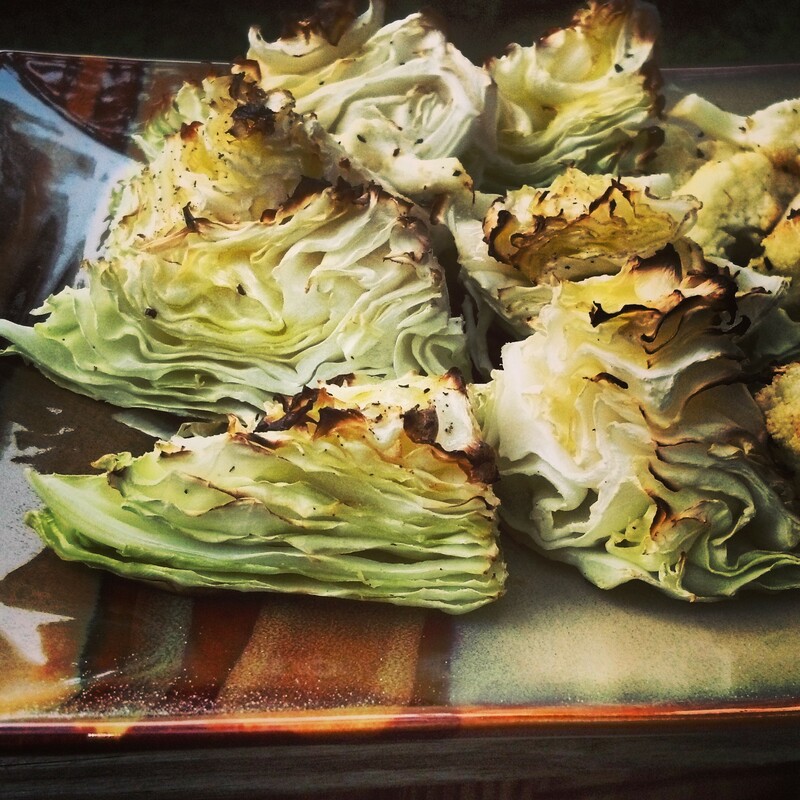 Roasted Cabbage – Love. Nourish. Heal. Preheat the oven to 425 degrees. Cut the cabbage in half, and then into quarters to make them into triangular pyramid shapes. Lay each wedge on a baking sheet (be careful to not let the tips of each wedge fall over as they will be loose). Drizzle olive oil and spices on top of each wedge and bake for 30 Minutes. Enjoy!